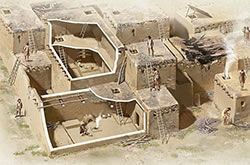 Archaic societies constitute a part of the pre-literary world, which does not necessarily mean, however, that these cultures are distant from us only in time. There were three routes that brought change to Europe, during the course of which much of what man had been during his previous imaginary journey in time came to be transformed. 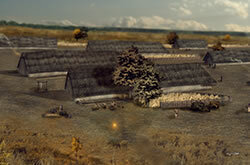 Longhouses represent an iconic feature of the early farmers’ culture in the European temperate zone. And not only that; many people across the entire continent made use of the same items and shared the same habits. The earliest farmers lived in Bylany, near Kutná Hora, for an extended period of one entire millennium. 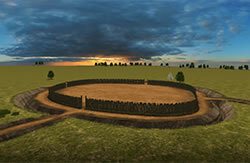 Close by their houses and their fields they also constructed large and mysterious circular structures.